With my three lathargic lassies home with fevers and coughs, there is a bit of extra snuggles, some warm lemon water with honey, the rare mid-day movie watching session and of course, some extra moments of quilty bliss for mom. Happy Friday to all, and healing wishes to all those dealing with the winter “yuckies”! Hope everyone feels better soon and you continue to have wonderful sewing moments!!!! Hope everyone is feeling better soon. Love the look of the quilt! 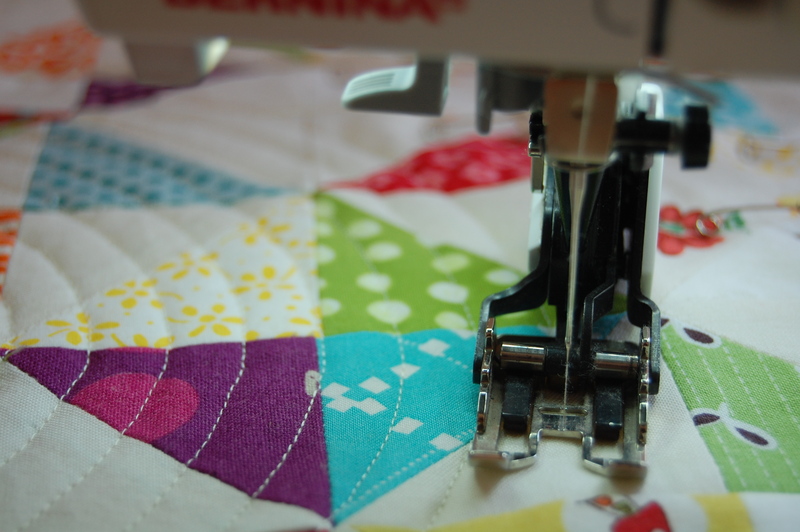 oooh are you free motion quilting? i need a special needle for my machine to try it..